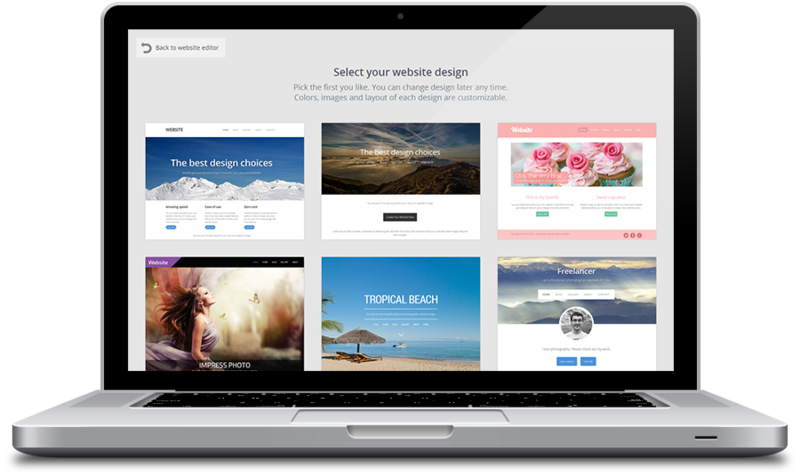 all in one websites is the easiest to use website builder on the planet! It's super simple to create and update your website, blog or online store. The first step to create your new website is signing up. Simply enter your email address, create a password, and tell us what your website will be about (Business, Blog, Freelancer, Online Store or Other.) Then select your website design. Pick the first you like. You can change the design any time without loosing any content. Colors, images and layout of each design are customizable. Your new website will be created instantly. Customize each page of the site by clicking on the site name, slogan and text to easily edit the content. Changes are saved automatically. To change banner photos, hover over the image and click on the pencil icon to quickly and easily upload a photo from your computer. Hover over the image again and click the "+" icon to add another photo to create a slider slideshow. Your website contains editable blocks and grids. Editable block elements range from text, side blocks (left and right) and footer space at the bottom. Editing these blocks is very simple; you can simply click on them to begin the edit process. A pop-up editor allows you change text type, style, size and alignment. Highlight text to make bold, italic or underline, or to add bullets or numbering. You can also add a hyperlink to any text. This pop-up editor also allows you to easily add photos, buttons, videos, maps, files, symbols, tables and even html code. Simply click on the "+" icon. Your new blog page will be created instantly. You can choose not to show the Recent Posts block by hovering over the section and clicking the "-" icon. You can add additional content to the page by editing the information in the "Extra Info" section, or you can hide the section by hovering over it and clicking on the "-" icon. To add a post or change your blog settings, click on the "Blog / News" icon in the left tool panel. The "Blog / Settings" sections will allow you to change Comment options. To add a post, click "Add new post". Create a Title for your post, add text and optional content in the Text box (such as photos). Click "Save and publish" to make your post live, or "Save without publishing" to save your post for later publishing. To edit, hide or delete a post, hover over the blog entry and click "Edit post", "Hide" or the "X" icon to delete the post. By hovering over the Design icon in the left toolbar, you can choose to Change Design, Change Colors or Change Font Scheme. Changing your design lets you choose a new style for your website without loosing any of your content. Changing colors allows you to choose a new color scheme, or click on "Advanced" to change individual color options. Changing the font scheme allows you to choose a new set of fonts for your site. The Address option in the left tool panel takes you to a pop-up address editor which lets you edit your free all in one websites address. You can also import a domain you already own to create your individual address, or upgrade to get a new individual address. Your personal website designer will setup your new website address for you. The Settings option in the left toolbar allows you to change your website title or brandname, add your own website icon, and connect your Google Analytics Tracking ID. Here you can also upgrade your account, delete your website and change your User Account info. Advanced users can insert their own HTML code into the BODY and HEAD sections. Clicking on "Preview" in the left toolbar allows you to view your website live. Click on "Back To Editor" to return to editing. Click on "Publish" in the left toolbar to instantly publish your site. Your website is now live! A pop-up will show your website address, along with the option to share your website on social media. Note you only have to do this once. All updates made after you publish your site the first time are published automatically. You can easily add or edit content blocks on any page by clicking on "Edit Layout" in the bottom, right of the website editor. To add a new content block, click on a "+" icon where you want the new content block to be placed. Then select the content block type: Full width, Two columns, Three columns, Four columns, Gallery, or Form. Once your new content block is inserted, click on "End Layout Editing" at the bottom, right of the website editor and then edit your content block content. To edit an existing content block, click on "Edit Layout" in the bottom, right of the website editor. 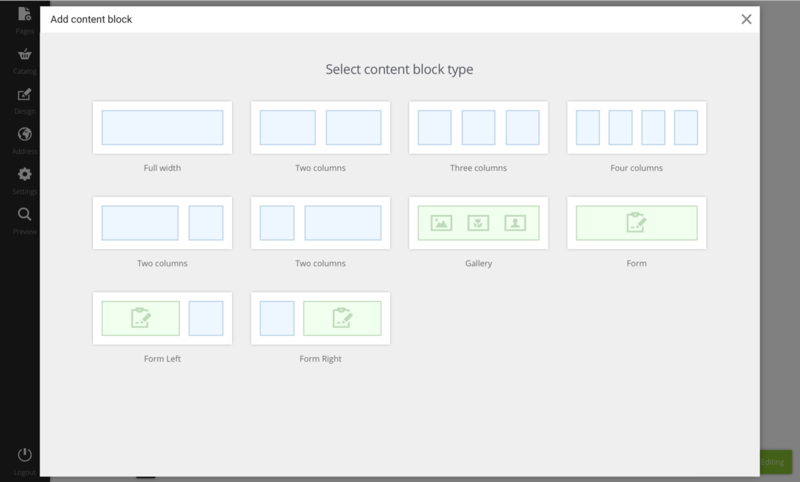 Then click on the gear icon to change the style of the content block, the up or down icons to change the order of the content blocks, or the "X" icon to delete a content block. When finished, click on "End Layout Editing" at the bottom, right of the website. To change the layout of any page, click on "Change Layout" in the bottom, right of the website editor. Note that some data loss may occur if you change the layout after adding content to a page. You can use Google Analytics to monitor your website traffic. Google Analytics is a powerful tool that can be used to accumulate and analyze website statistics. To use Google Analytics with your all in one website go to Google Analytics and create an account (choose Universal Analytics account type). In your Google Analytics account, locate and copy the Tracking ID. Log in to your all in one account. Click Settings. In the field Google Analytics Tracking ID, paste your Google Analytics tracking ID. Save changes. 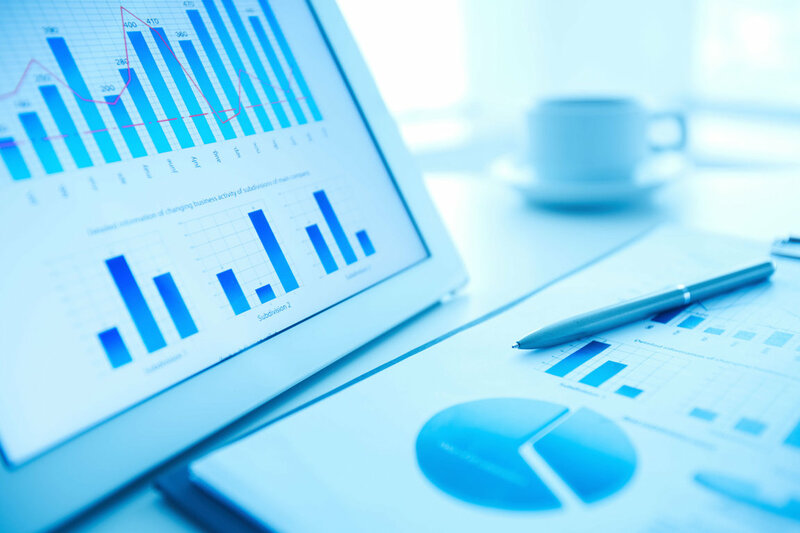 You will then be able to monitor your statistics from your Google Analytics account. Note that it may take a few days before you see any statistics in your Google Analytics account. 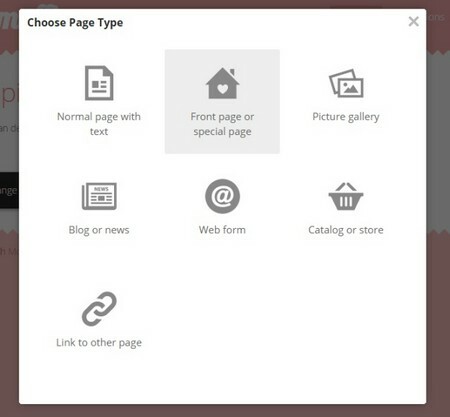 To create an online store, click on the Pages icon in the left toolbar. Click on "Add new" and choose the page type "Catalog or store". Create a page title and page address for your store. (Advanced settings allow you to customize SEO settings and to choose if the page should be shown in the menu.) Click "Save". 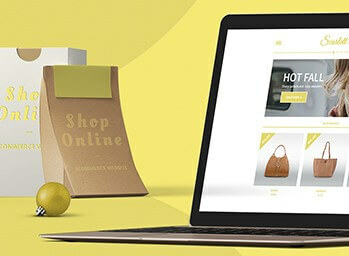 Your new store will be instantly created. To edit your catalog, click on the "Edit catalog" button. In the Catalog management section you can Add a Product, Add a Category, change your Catalog Settings and Check Your Orders. To Add a Product, click "Add product". Choose a category for the product. 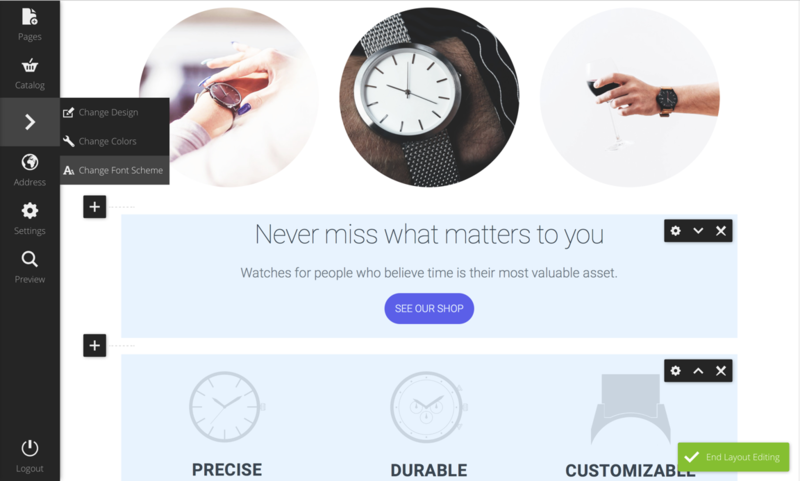 Create a product title. Add a picture of your product. Enter a description of the product. Click on "Advanced settings" to enter a price and optional tax, product code, stock, manufacturer and model info. You call also add variants to offer options for your product. Click "Save". To delete a product, hover over the product and click on the "X" icon. To move products around, hover over the products, press and hold the arrows icon, and drag the products to their new location. To add a category, click on "Add category". Under "Catalog settings" you can set the currency, choose the number format, choose what products show on the front page of your store, choose to show all products, choose to allow online purchases, choose to send orders to your email, and choose to show social sharing buttons on your product pages. Enter your business information in the Seller and Address boxes. Under "Catalog settings", click on "Delivery" to setup your delivery options. Click on "Add new delivery method". Type a description of the delivery method and enter a cost for delivery. Under "Catalog settings", click on "Payment" to setup your payment options. Here you can enter your Paypal account email to automatically allow your store to accept credit cards and Paypal payments. You also have the option to setup wire transfers to your bank account. Additional payment processors are available if you upgrade to a Premium Plus plan. Click the "Send invoices to customer's email" to have a receipt automatically emailed to your customers after checking out. Under "Catalog settings", click on "Taxes" to setup your tax settings. Choose your location and enter the sales tax rate for your state. To view orders, click on "Orders".